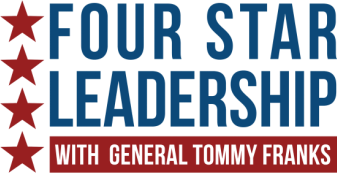 Four Star Leadership with General Tommy Franks is accepting applications and nominations for its world-class leadership program to be held July 14-19 for 70 of the top-performing high school students from around the world. The April 22 deadline is fast-approaching for students to apply for this one-of-a-kind experience. This opportunity is valued at more than $4,000 per student and selected students will receive scholarships for all expenses including travel, meals and programming. Students will be housed on the OC campus in Edmond, Oklahoma, where they will meet and engage with national and international leaders including elected officials, dignitaries and championship-level athletes. In addition, students will be confronted with practical leadership and ethical scenarios and then challenged to address them individually in a persuasive speech and writing competition as well as collaboratively in an ethics bowl competition. Program curriculum is designed around the four core principles of the four stars of leadership: character, common vision, communication and caring. Attendees will have a chance to earn more than $30,000 in scholarships, learn life-changing lessons and receive endorsements and recommendations to future positions of leadership. The deadline for applications and nominations for Four Star Leadership 2019 is April 22. School counselors, coaches, scouting leaders and directors of youth programs are encouraged to nominate young leaders in their organization. For more information on the program, to nominate a student or to apply, visit FourStarLeader.com. Four Star Leadership with General Tommy Franks is a world-class leadership program developed as a partnership between the General Tommy Franks Leadership Institute and Museum and Oklahoma Christian University. Four Star Leadership offers 70 top high school students invaluable leadership experience through an exciting and challenging curriculum at no cost to students. Since 2008, Four Star Leadership has welcomed 562 U.S. high school students from 48 different states and 45 international students. For more information on Four Star Leadership visit FourStarLeader.com or call (580) 726-5900.